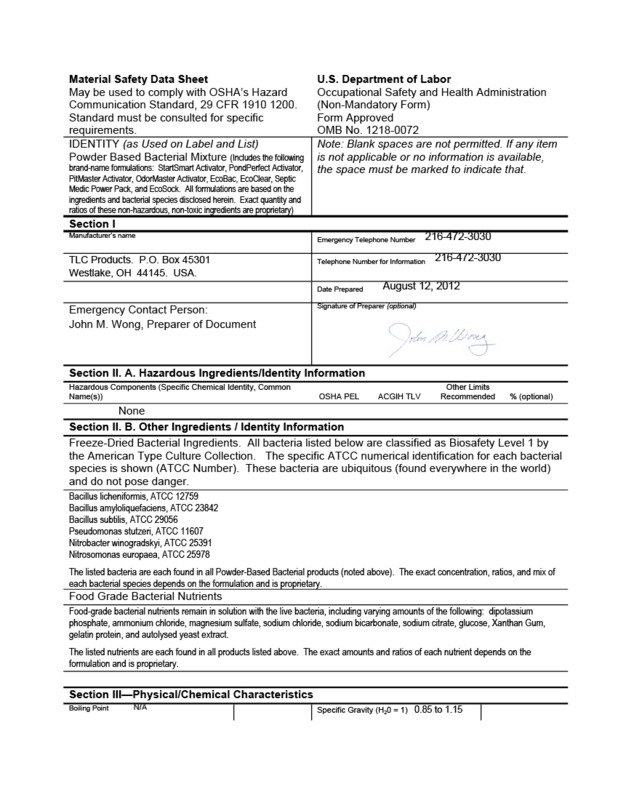 We at TLC are particularly proud of the technological edge behind our bacterial and chemical products. Our superior technology benefits you by providing superior results. 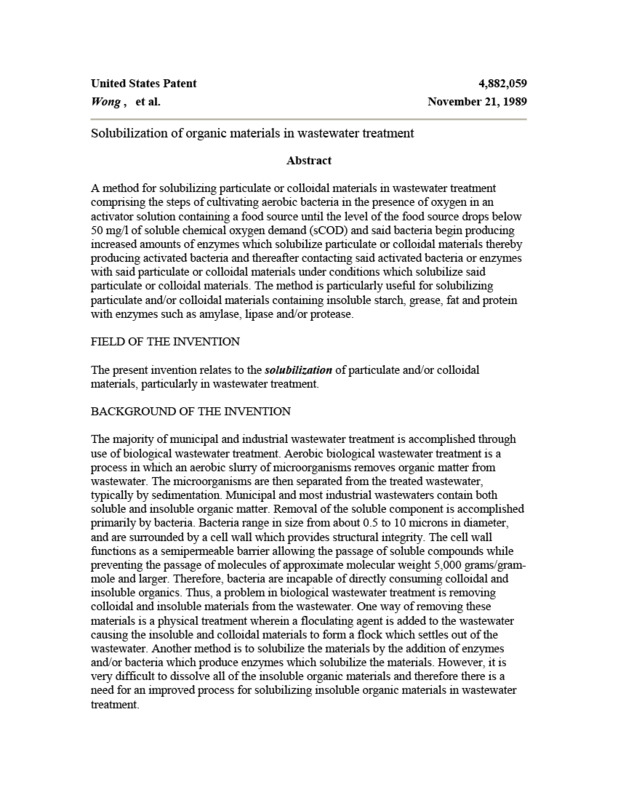 Our founder and CEO, John M. Wong, has been a leading pioneer in the field of aquatic ecology, bacterial augmentation, and biological wastewater treatment. Our staff brings over 35 years of experience in providing state-of-the-art products and solutions to aquatic systems. 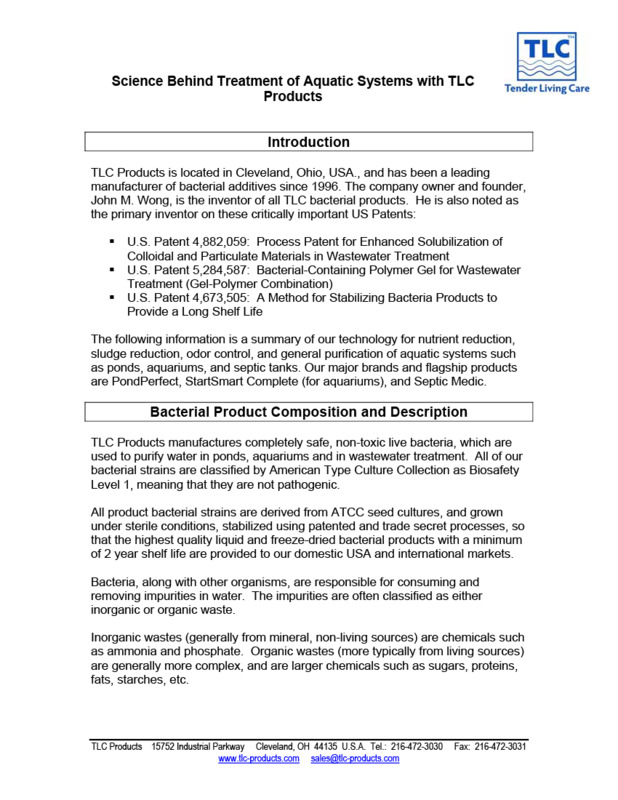 TLC Products manufactures completely safe, non-toxic live bacteria, which are used to purify water in ponds, aquariums, fountains, and in wastewater treatment. All of our bacterial strains are completely natural, non-GMO, and completely safe when used as directed. 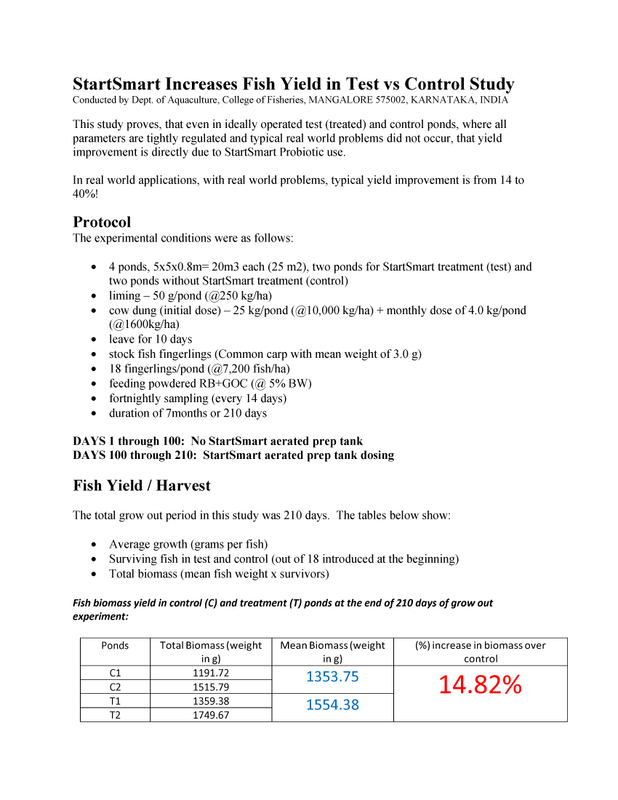 All product bacterial strains are maintained as pure seed cultures, grown under sterile conditions, and stabilized using patented and trade secret processes, so that the highest quality liquid and powdered bacterial products with a minimum of 1 year shelf life after purchase are provided to our domestic USA and international markets. Bacteria, along with other organisms, are responsible for consuming and removing impurities in water. 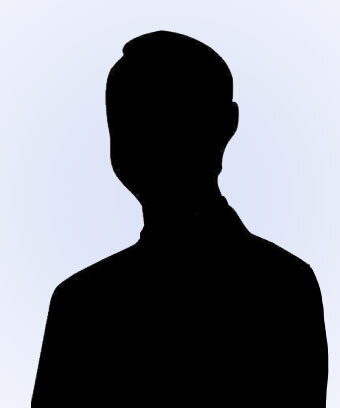 These impurities are often classified as either inorganic or organic waste. 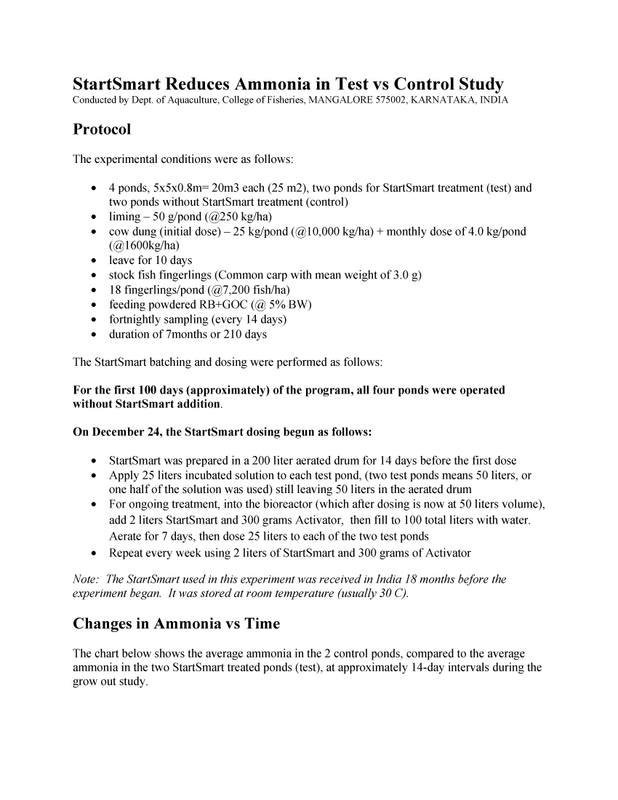 Inorganic wastes (generally from mineral, non-living sources) are chemicals such as ammonia and phosphate. 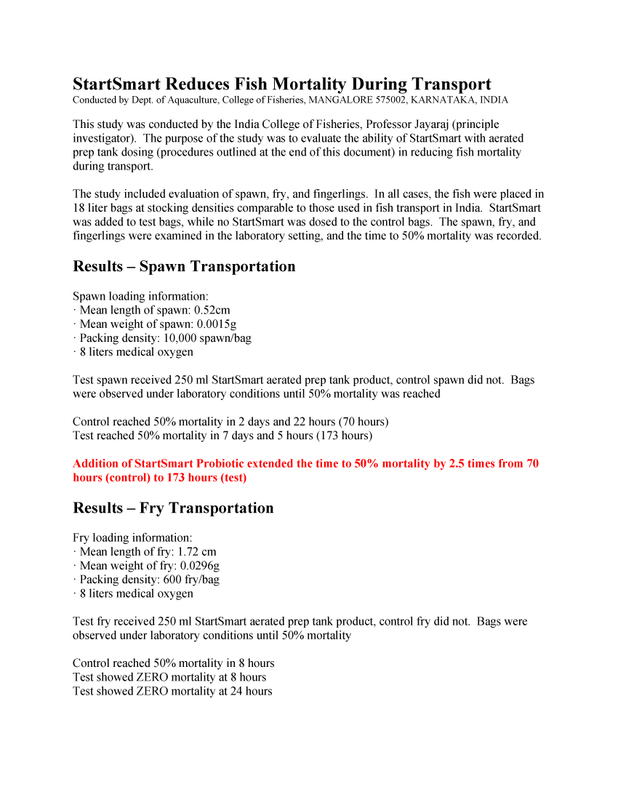 Organic wastes (more typically from living sources) are generally more complex, and are larger chemicals such as sugars, proteins, fats, starches, etc. In addition to being non-toxic and completely safe, all of TLC Products also have 3 major benefits. Read about TLC nitrifying, denitrifying, and sludge reducing bacteria, and what they can do in aquatic systems (aquariums, ponds, and septic tanks). What Are Bacteria vs. Enzymes vs. Chemicals? 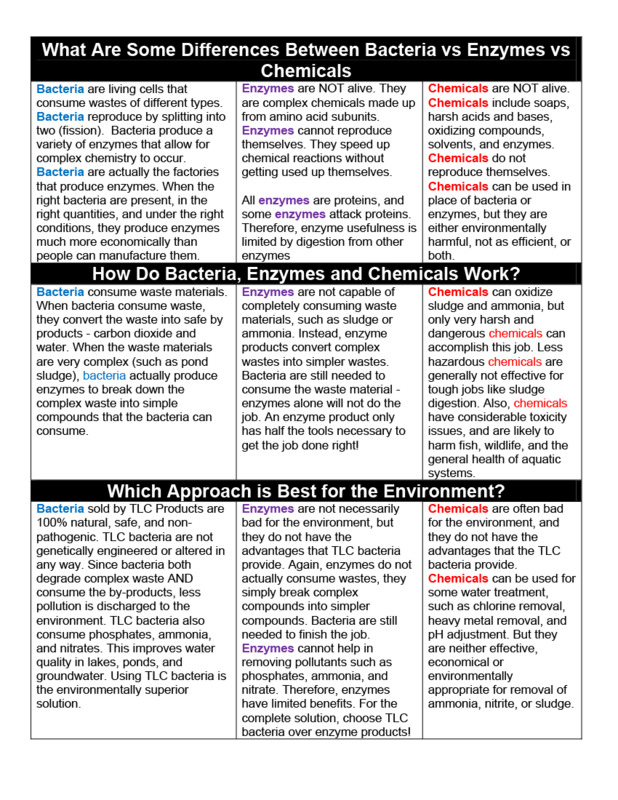 Learn about the real differences between bacteria, enzymes, and chemicals. Know what they are, what they each do, and which is best for your system.. 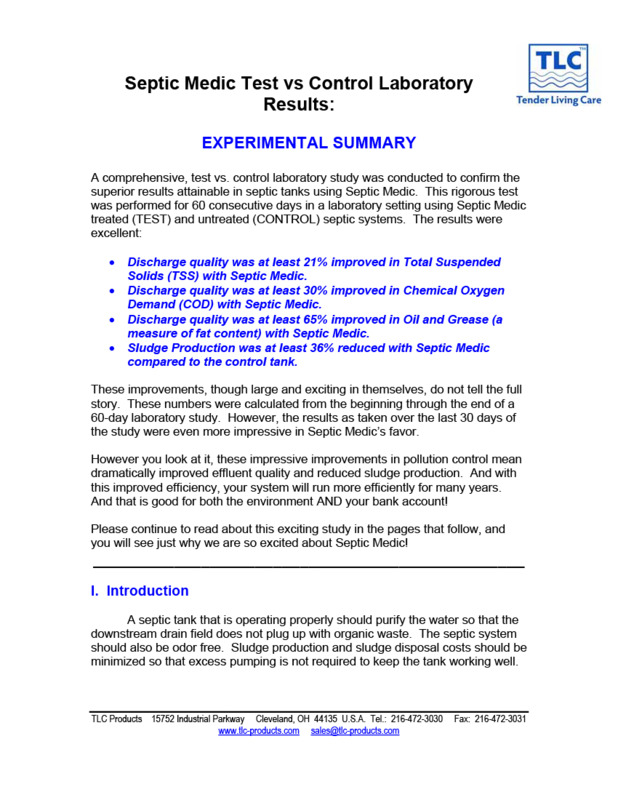 Independent, test vs control study shows how the TLC bacteria act to reduce pollution and digest sludge in parallel, identical septic tank systems. 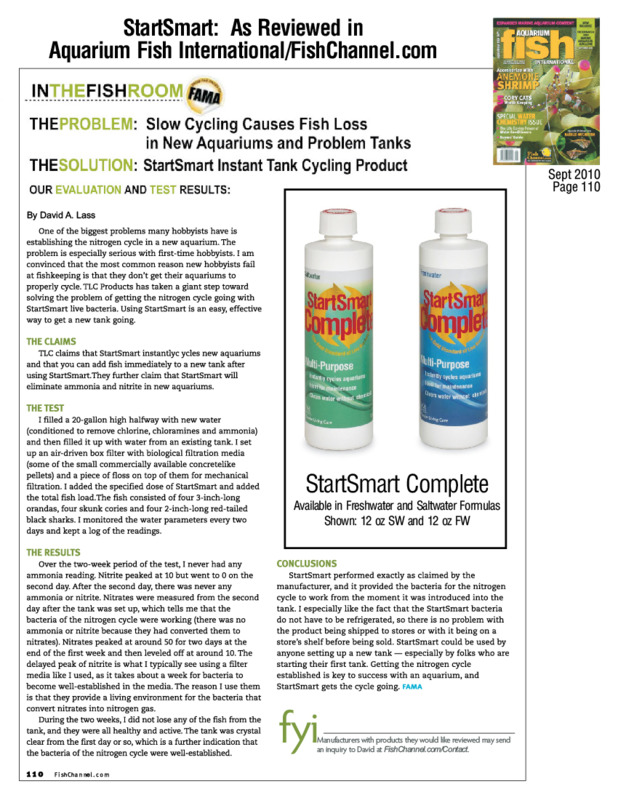 In Sept 2010 issue of Aquarium Fish International, their independent staff proved our instant cycling ability. Read the entire article. 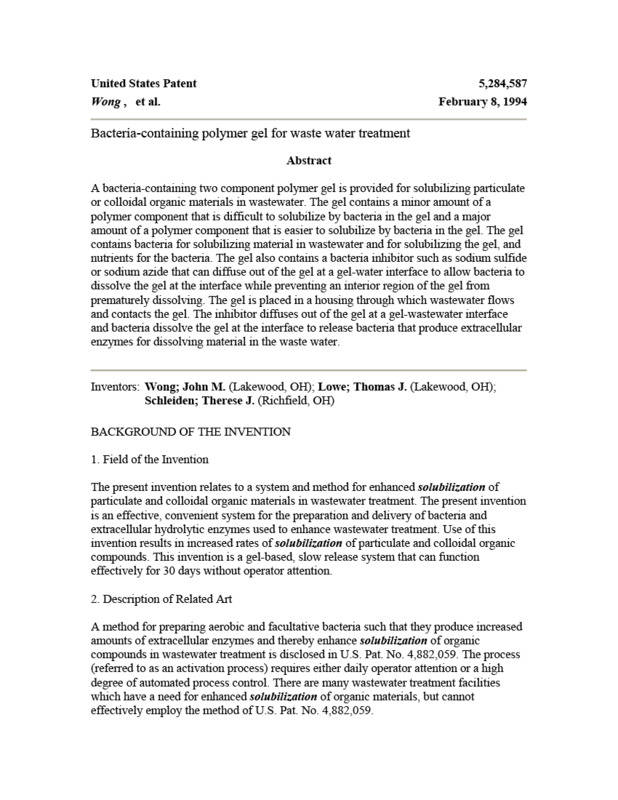 Patent 1: A method for stabilizing bacteria. 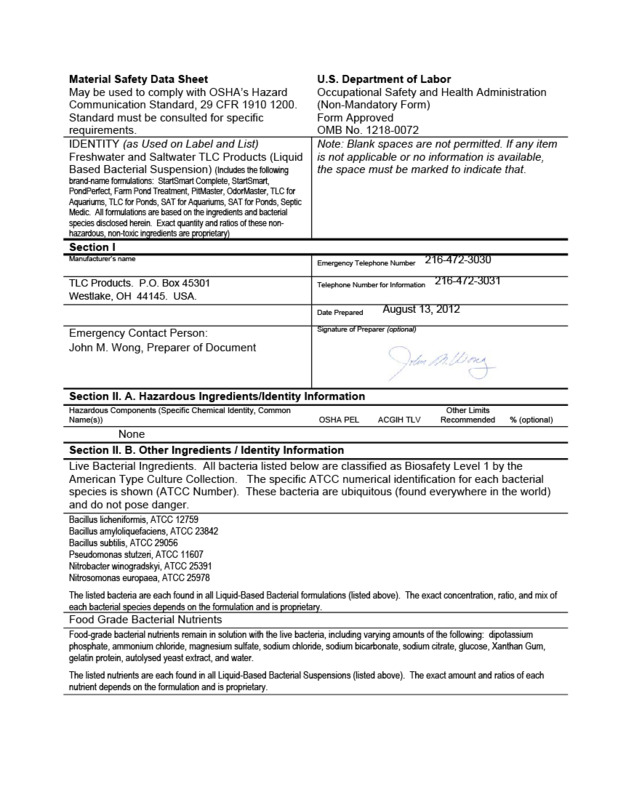 Patent 2: A unique bacterial formulation. 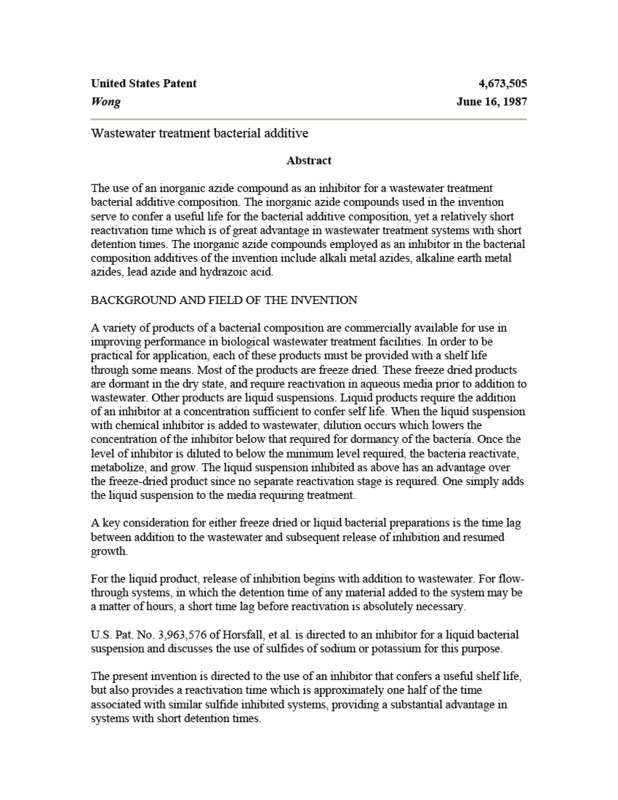 Patent 3: A method to digest sludge.